TEC Insights - Elevation Co.
Their claim to fame is saving their clients more than $1 million at tax time two years in a row, AND making accountants cool again! They even have an award to prove it. 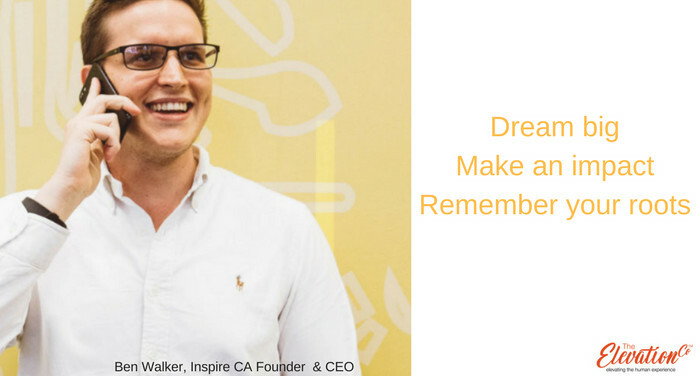 inspire CA company values are: Dream big, Make an impact, Remember your roots. What does values based leadership (VBL) mean to you? I believe your business’ values should be a representation of your own personal values as your business is usually an expression of you. Values based leadership to me is living those values in your every day work, especially with your team. You should hire and fire based on those values. Reward team members and call people out on doing a great job when you see them in alignment with the values. To go a step further, I believe businesses really “Get” it when they hire and fire clients based on their values. Can you give us an example of your VBL in action? “Remembering your roots”, is all about family. It’s actually our most important value. One of our final interview processes when we’re hiring a new team member, is to have them around for a family lunch or dinner. It’s a great way of getting to know the person and seeing how they hold themselves in a casual setting. And it’s our family who give the final thumbs up and confirmation that they’re a good fit for inspire. At the end of the day they’re helping us make a bigger impact, and we want to do the same for them. Our values need to be aligned from day one! Who else have you seen employ VBL well? The team at thank you in Melbourne do a really great job at this (creators of thank you water, co founded by Daniel and Justine Flynn, and Jarryd Burns). What impact has VBL had on your team/company? I believe we have one of the tightest and closest teams in Australia. 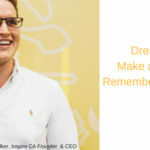 We even had our newest accountant say “two of the team are now like brothers to him” – and he hadn’t been at inspire for six months yet. It’s incredible to see this and to have a hand in creating a workplace and life for people where they enjoy coming to work. This effect ultimately cascades down to clients where they see our passion and enjoyment for what we do. 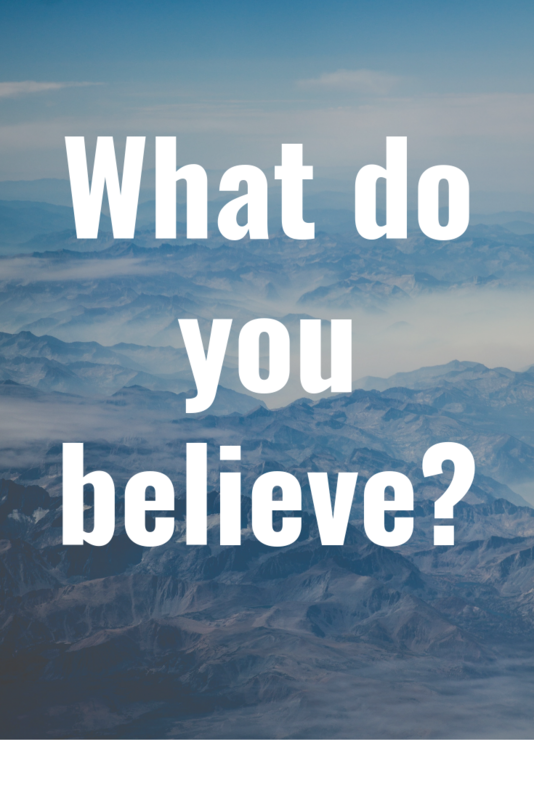 What is it that you believe about yourself? What do you believe about what it will take for you to be happy? What do you believe about your relationship? What do you believe about the role of men and women? What do you believe about what it takes to be successful? The Cambridge dictionary defines belief as: The feeling of being certain that something exists or is true. It’s a FEELING that something is true – not that something IS true. 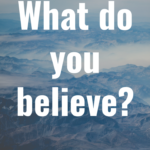 What you believe and what others believe can be very different, yet our thoughts, behaviours and actions are often driven by our beliefs. Our beliefs have their roots in our childhood where we are influenced by our families, our culture, our religion, our education, our friends etc. Beliefs are thoughts that we have had repeatedly, which we have come to believe as true. They are not actually true. Some of our beliefs are enabling – they are helpful to us, and some of them are constraining – they work against us. Some of them are both. Let me give you an example. For many years I had a belief that if I wanted something done, I had to do it myself. On one hand this belief is quite empowering, and I just got on with whatever needed to be done and developed resilience and skills in lots of different areas. I was a “can do” kind of girl. At the same time, I often felt unsupported and alone and that I couldn’t ask anyone for help. 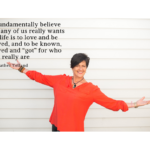 My belief was getting in the way of allowing others to support me and of me asking for help when I needed it. It’s a very useful exercise to examine our beliefs and check in to see whether they are still working for us. So often, are beliefs are unconscious – yet they drive our behaviour, patterns and decision making. I invite you to set aside 15 minutes and think about an area of your life that is not working. What are the beliefs you hold about that area? Are your beliefs useful? Do they support you? What are the impacts on you and those you love if you continue to believe that. When we have awareness about our beliefs we have the tools needed to make a different choice. Time is a strange and wonderful thing. It seems like only yesterday I was graduating from my first stint at university, celebrating my 21st birthday, our children were little peeps, and suddenly, here I am now on the wise side of 50. Time isn’t measured so much in weeks and months in my mind, but more in the memories of those moments and people that create true meaning. So, it’s by this same “measure” that I am currently stopping to reflect on what it means to have a company celebrating its 10th birthday. Yep, The Elevation Company is 10 years old this month and we are looking back over the journey and taking stock of what we have achieved in that time. The first thing that stands out to me is the PEOPLE. The people in my family who have supported and believed in me, those who have joined me along the way as part of our staff team, the ones with whom we have partnered to make certain things happen, those from whom I have learnt or by whom I’ve been mentored, those I have reached as a speaker, the children who have attended our Green SuperCamp® Australia programme, the children we work within Myanmar, Indonesia, New Zealand, India and Guinea, those running or working within the businesses with whom we consult – it’s all about the people! In fact, we recently undertook an exercise to determine the number of people we have reached directly through the full range of activities and services provided over that 10-year period and it measures well over 92,000, which has me feeling very humbled. Ten years ago, I set out on a journey to share my unique “weirdness” with the world and as I look back now, I think I had my savings in one hand and my courage in the other as I took the leap. I paid no attention to the statistics that say 50% of small businesses fail within 5 years and another 30% within 10 years. Failure was never even a consideration for me and the reason was because my WHY was so unshakably strong. There’s a saying that if your WHY isn’t big enough, your excuses will be, and I had no need for excuses. I fundamentally believe all any of us really wants in life is to love and be loved, and to be known, loved and “got” for who we really are. With the certainty of this belief, I set about creating and delivering programmes and services that connect people with a greater sense of their own truth and help them find the inspiration to share more of themselves with the world. In our increasingly fast-paced world, it is the moments of true human connection that I believe are the most important and profound. It is the matters of the heart that must get our greatest attention if we are to lead meaningful lives and create great businesses. My motto is, “your business must be “good” for everyone for it to truly be good business! Our General Manager recently asked me, “what’s been the highlight of the last 10 years in business?” My answer was simple and resonant – the PEOPLE! 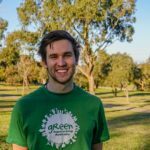 My journey with Green SuperCamp Australia began in 2012, when I was gifted a full scholarship to attend a senior forum in Bali. At the time, I was halfway through my final year of high school and very focused on achieving academically. 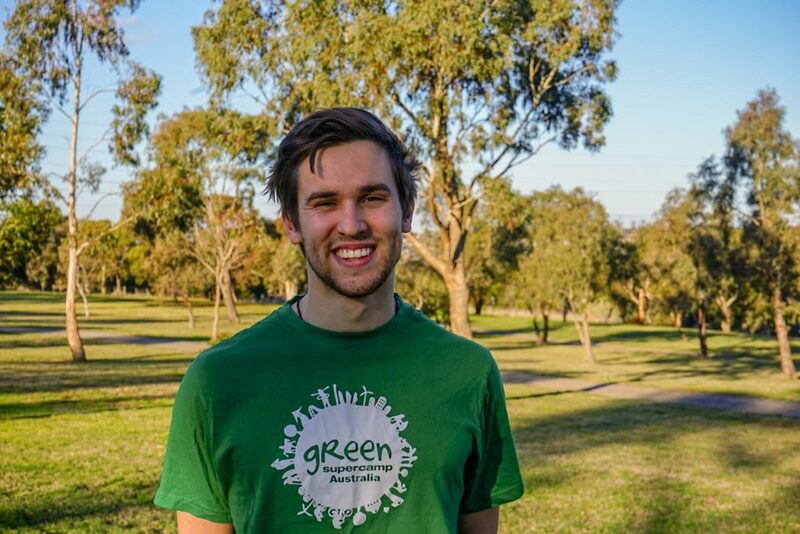 I was school captain of my high school, working on the weekends and volunteering in community based programmes in my spare time. With so much going on for me, I found myself extremely stressed and run down. I thought I was too busy, and definitely too ‘cool’ to be heading to a camp in my school holidays. Nevertheless, I went along with my younger brother to SuperCamp and it turned out to be an incredible blessing. It been a big part of my life ever since! As a camper, I found that the Quantum Learning strategies shared at SuperCamp gave me the cutting edge and extra boost I needed to excel further in my HSC. I’d been struggling with a condition called ‘trauma dyslexia’ at school and Quantum Reading allowed me to really re-frame my approach to reading. The life skills woven throughout the curriculum really opened my eyes to the concept of self reflection and self work. I found the 8 Keys of Excellence helped me to articulate my goals and feelings. I am an introvert, and while at SuperCamp I listened intently to what the Facilitators shared with us. I’d never had a ‘teacher’ so full of energy and so passionate about what they had to say and I was inspired by the confidence and worldliness of the Team Leaders. 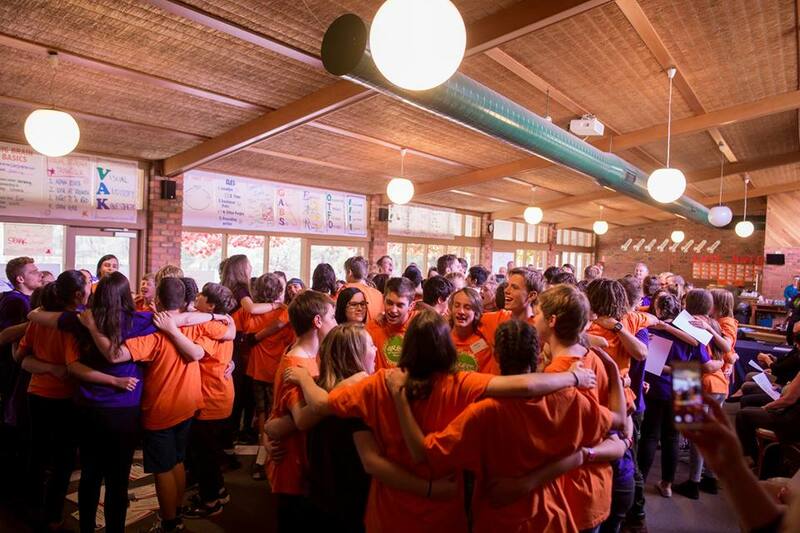 Carrying this experience home with me, I found myself having realisations and developing new aspirations long after my actual experience at camp was over, which turned out to be a real gem for me. I became a Team Leader as soon as I was old enough (19!) which felt like a very long two year wait (this was before the Leader in Training experience existed, otherwise I would have jumped at the chance!) I participated in both local and international programmes, which fuelled my desire to keep being a part of this world shifting program. The training that the staff team go through before campers actually arrive opened my eyes to the depth of research that goes into the foundations of the program. I loved learning more about the ‘why’ behind the way camp is set up, and about expanding my personal leadership and communication skills. After team leading at over 15 programmes across Australia, Indonesia, Malaysia and Singapore I jumped that the chance to become Camp Coordinator one summer at a SuperCamp in Bali. I couldn’t believe that 4 years later, there I was right back where I started- but this time running the program. I felt I had come full circle. 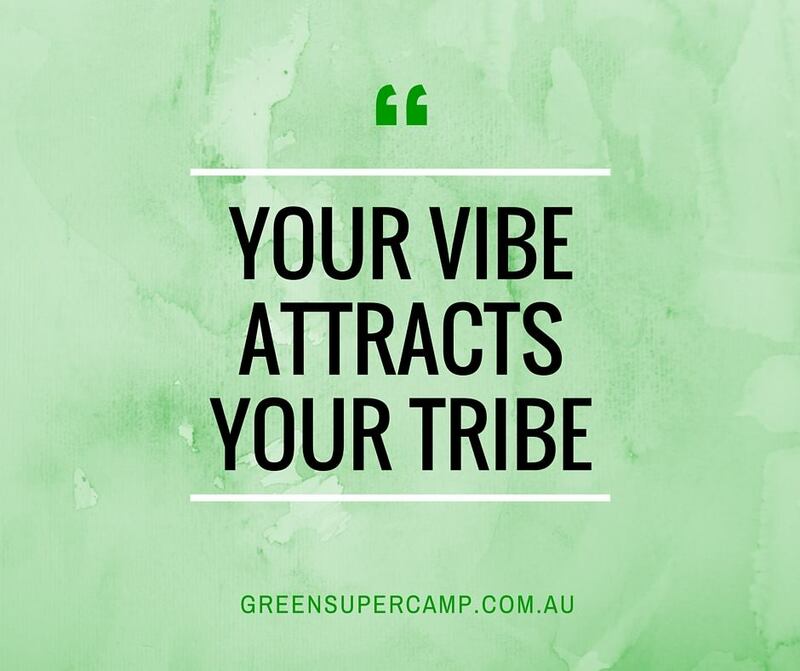 In the following months, reflecting on the privilege it was to shape and run an entire programme, I knew there was more opportunity for me to give and grow within SuperCamp and so I set a goal to become a Facilitator with Green SuperCamp Australia. In June 2017, I was so lucky to have been given the opportunity to travel to America to train with Quantum Learning to become a Facilitator. This was one of the most radical intellectual and emotional educational growth experiences I have ever had. I knew from my past experiences just how powerful the words of Facilitators can be. 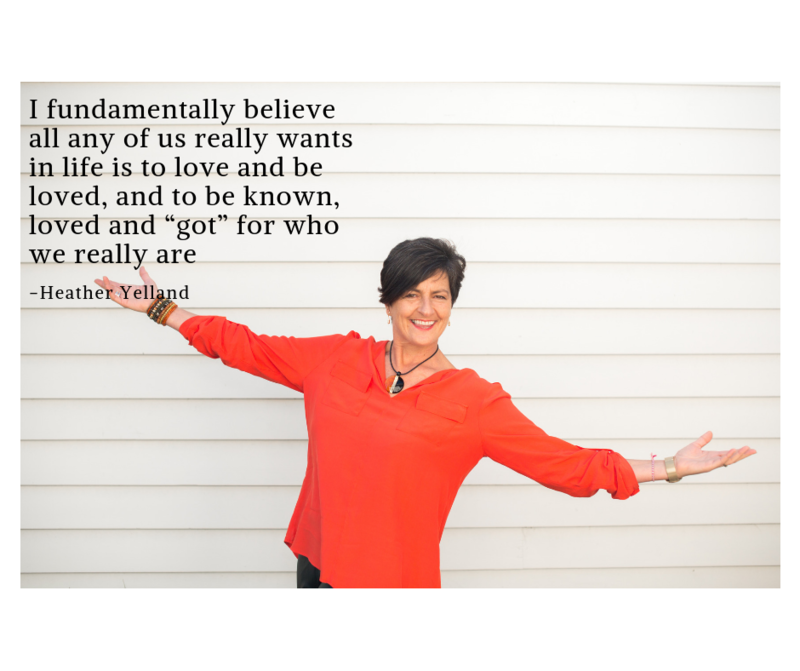 I had seen it done masterfully before and knew that I wanted to become one of those magnetic, empowering speakers whose voices had resonated with me over the years. Facilitation is a constant process of preparing, presenting and then reflecting. I carry a notebook with me and jot down ideas for key talks or academic pieces that come to me throughout the day. Collaboration between Facilitators on pieces and constant feedback is something that keeps us striving to improve and hold ourselves to the highest standard. When I present, I am looking to put myself in the campers shoes, and consider how myself, as a camper, would feel receiving what I have to say. For me to connect to the young people who come to Green SuperCamp through facilitation is an incredible privilege and I am so committed to continuing to grow myself in order to be of greater service to them. As a young girl growing up in the country, I had the freedom of thousands of acres of land on which to run, play, adventure and create, as well as 3 brothers with whom to share those adventures. Miles form the nearest neighbours, we could be forgiven for thinking we were alone in the world. Yet, my darling mum had rules about how the clothes must be hung on the line, with the underwear on the inside lines and all the pants hanging together, just in case someone dropped in and saw the clothes line. Even then, some 40 plus years ago, I would sigh and say, “really mum, what does it matter?”. Being more of the persuasion of “who cares what others think of me”, it was somewhat baffling to me to make sense of balancing the need to just get the washing dry with my mother’s need to have things “look right”. Then I grew up and realised this was a micro demonstration of one of life’s true challenges. It seems life is a continual journey of wanting to be our true authentic self and trying to be what other people want, need or expect of us. Pulled left and pushed right, we sometimes forget to honour our own truth and walk our own path. Indeed, if we bend and mould to the needs of others for long enough, we can become completely disconnected from our own truth and that inner wisdom that could so powerfully guide our journey. There’s a strong social discourse for women (and indeed for men too) about what it means to be a woman, mother, wife, daughter, sister, community member and so on. But who makes these rules and who sets the expectations? My sense is we all do, yet we seldom stop to reflect on the impact of these social expectations on how we live our lives. Handed blindly from one generation to the next, we end up conforming to these expectations and wearing the ill-fitting and out-dated garments of the past. When finally the garment rubs like hessian, we are usually well into our adult years and too entrenched in the patterns of serving others to know what’s happening to us, how to deal with it or to whom we can go to even share the deeply guarded truth that we’re struggling. After all, I’m surely the ONLY one who feels like this, right? 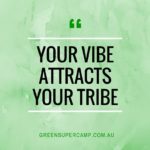 This is the power of finding your tribe – that unique group of people who genuinely want you to simply be your best and will stand with you and by you whilst you shake off the old garments and create your own new ones! This is a group where sharing your struggles and vulnerability builds connection and meaning, rather than judgement. The human soul seeks connection, understanding and belonging, yet we all too often rob ourselves of the opportunity to experience this because of our own judgement and the need to wear the cloak of happiness – a garment that keeps us apart from others. “Today you are You, that’s truer than true. There’s no-one alive who is Youer than You”, Dr Seuss. 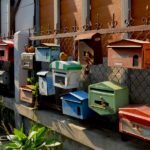 Have you ever put a postcard in a letterbox? 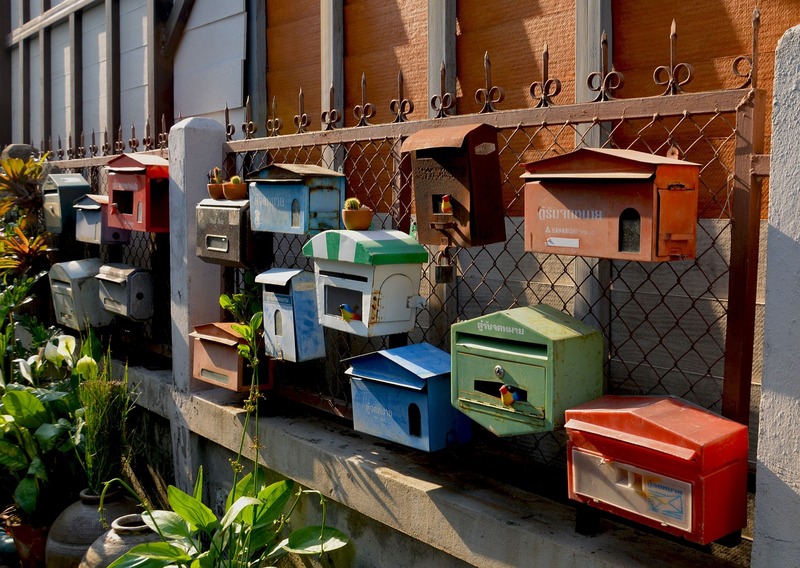 Now, have you ever wanted to deliver a bulk post package, then tried to deliver it through that same small letterbox? Exactly, yet this analogy reflects how we often communicate. The package (our message) doesn’t fit the letterbox of the receiver (what is important to them). And we all have a different letterbox. What happens when you receive a telemarketer’s call? Do they ask you for your current requirements, your satisfaction level with services, what is and what is not important about the services? They share their messaging, their offer, their version of that bulk package that, more often than not, doesn’t fit our letterbox. So what can you learn about yourself and the way your communicate with others? The foundation of trust – which impacts the relationship quality. When we understand what is uniquely important to the other, and genuinely demonstrate this understanding and our care to help the other, then we can develop, nurture and deepen the relationship. So, what can you do differently today to speak into the listening of the people around you? I absolutely love turning up to work and being all of who I am, just the same as I do when I turn up to my friend’s place, or turn up as a mum, or whatever. And finally, I now work with an organisation where who I am and what I bring is the most important thing in what I do. In fact, I am the General Manager, so not only is it the most important thing for me, it sets the tone for the team that I manage. In a sense, my role focuses on Change Leadership, because we work in the space of change. 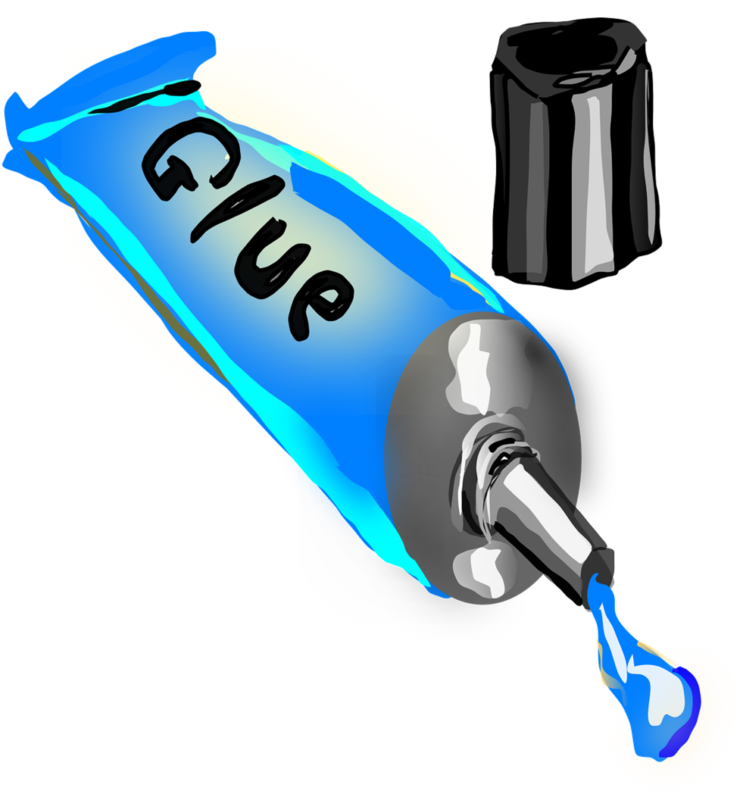 My role focuses on creating the glue that engages people, as unique individuals and as a team, so I am essentially a glue maker. And the third thing that I do, is about working with people’s values and really understanding what it is that inspires them. I support them to develop their own natural leadership capacity as I build my own in alignment with that. And interestingly, that is actually what we do in the Elevate Business service stream. We actually do Change Leadership, which is the architecture around an intentional change process, we build cultures of engagement where people wake up and can’t wait to get to work and do what they love, just like me. And we really pay attention to finding that unique flow for each individual within a values-based leadership model. So, it’s perfect! I get to BE it and foster it in the business that I lead, and then our consulting team go out and deliver it in a way that is congruent with the business they consult with. 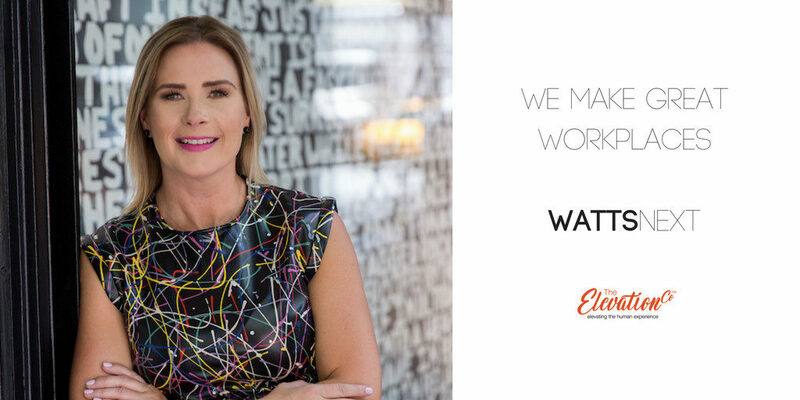 My job, as General Manager of The Elevation Company is to make sure that what we do and be and model within our own business, is a wonderful example of what we consult with other businesses to do, be and create in theirs. In fact, my test of success is to make sure that we are the best possible example of what we teach when we consult with other businesses. 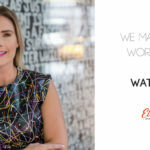 In 2017 Sue-Ellen and the wattsnext team were invited as leading social influencers to the largest global HR conference, Society for Human Resources Management held in America each year. 1. What does values based leadership mean to you? Firstly, I am very passionate about my belief that the vision, mission and values are the core of an organization and drive everything. The vision supports decisions made around the board table, the mission drives the customer experience and the values are the tools that the team can call upon to guide them, particularly when they are not sure what to do. Values are there to guide the behaviors of a team in a non-hierarchical manner. They are the strongest tools managers have in their tool box, when designed well and used correctly of course. True values should underpin and assist decision making. They should never be just fancy words on a wall or website. However I strongly believe that when we decide on our values we shouldn’t choose words that we already live easily. Just like our vision I think our values should be somewhat aspirational. I like to look at where the gaps are in a business and how we must behave to achieve our vision and mission and create values to support that. To me values based leadership is all about creating a work environment where the people treat the business like it is their own. It frees up a leader to be a true leader and not have to fall back to managing unnecessarily. Well-designed company values should guide the behavior of all employees, they should keep the train on its tracks. They should allow leaders to keep the flame alight (the purpose), to remain strategic and forward focused, while having the confidence that employee decisions are guided by the values. In essence people grow by making mistakes, taking risks and being curious and I see VBL as a leadership style that allows this to happen. Without putting the business at risk. 2. Can you give us an example of your VBL in action? An example that stands out to me is when I was recently about to present to a group of conservative business professionals about the Future of Work. We had prepared a fun game to kick things off which involved balloons and some team fun. As I welcomed the guests into the room I was greeted by very conservative, reserved and mature business men. My immediate feeling was that I could not possibly do the balloon game! They would not appreciate it and I would lose credibility with this audience. However I knew that there was specific reason for this activity. We had designed the presentation the way we had because we have a different approach to HR and business and this activity was part of the overall message, not just a fun starter. 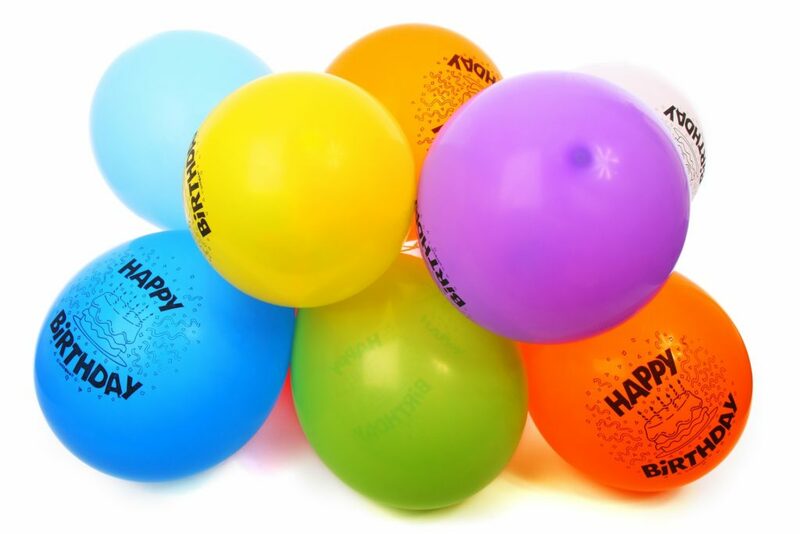 I turned to my colleague and advised her that I was pulling the balloon game from the agenda. It was clear to both of us that I was scared of how we would be perceived. That was when the magic happened. My colleague did not hesitate in responding to me ‘skinny branches’! this is our courage value and it is place specifically for situations like this. Where we stop doing something that we know is authentic and right because we are scared. I had no response. I had to live our values and be brave. I did and the audience loved it!!! Not only did the value help me in that situation to keep true to our offering but it also allowed a direct report to hold the CEO to account which I love! 3. Who else have you seen employ VBL well? We help our clients identify their Vision, Mission and Values so we are very spoilt to see some amazing leaders go through this process. I say we help our clients identify them as this is an art. The business owner must understand their story, what is important to them and what impact they have on the world. We help them extract this information and articulate their story. Many are intrinsically VBL’s, but the process allows them to become Values Based Leaders in their own right and educate others on their story. What I have noticed by offering this service is how often established business owners have lost touch with their why. They are no longer connecting with why they started their business in the first place or what value they offer their customers. That is really sad for me because I love business and am insired by entrepreneurs and business owners. My favorite activity in our business is helping business owners and employees reconnect with the reason they go to work everyday and the impact they are having on the world! 4. What impact has VBL had on your team/company? We live and breathe our Vision, Mission and Values every day, but VBL has allowed me to understand my own leadership style. I am a self-improvement junkie and allergic to micro management. I believe in people and that together we can make a difference, but it hasn’t always been that way. As the business has evolved I have had to evolve with it and I am a strong believer that you must understand where you are can have the largest impact. Values Based Leadership has given me the confidence to be strategic, forward focused and Ok with being the visionary. That is where I can impact into our next decade, VBL has helped me come to terms with the new leadership role I now have. 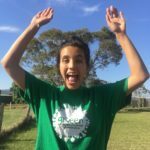 My experience at Green Super Camp Australia has been a blast. I started off at GSCA as a team leader the year after finishing high school, I came into this program excited but unaware of the entire content that was covered and no prior knowledge from family or friends. When I reflect on it, my first camp I got to see and experience a lot of camp through the eyes of a camper. As much as I was there to help the campers grow and find themselves, as well as guide them throughout, camp provided that exact same opportunity to me. I saw the way the facilitators presented pieces and I was left on wanting more, it made me ready and willing to dive into a deeper level of understanding. When the campers had questions, I had the exact same ones. That’s what I think is the coolest thing about this program, no matter how many times you come back as a camper or part of the team creating the experience, there’s something new for you to challenge you or make you grow some more. That one area you’ve been trying to ignore comes up and really makes you take your life in the right direction. As a facilitator now, I love to present these opportunities to new campers, allowing them to think and assess how they show up in life and how they would like to interact with their families back at home. Every day is a fresh interaction with the campers, giving them a chance to continue to shape themselves learning from the day prior’s learnings. To those still wondering about the impacts this camp has, you’ll never know until you stand there with the campers on their final day and see how they shine in a new light. An experience you’ll never forget. I love GSCA because of the family. The love that is found here cannot be replicated anywhere else in the world.The way bonds are formed in such a short time is something that the next generation needs. 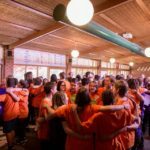 Each of these bonds at camp create a safe space that allow anyone to open up, find yourself and be the you that you want to be. To take these connections with you later on in life creates such a support network that no matter what, there’s always a family willing to listen to you. Who couldn’t love something like that? With the way the worlds going currently we need more teens connected to one another through actual emotions not just technology. GSCA is more than just a camp, but a life changing experience that has ability to reach a limitless amount of young people helping make a positive impact on them and those around them. What’s not to love? So many of us spend our life time finding this truth and go through a lot of grief and heartache before we discover this for ourselves. 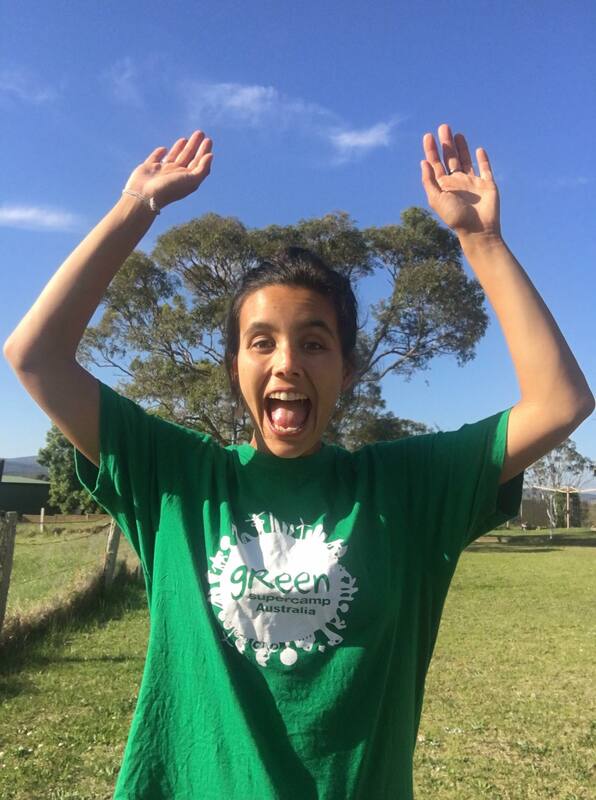 Our Green Supercamp Program hopefully short circuits some of this and opens the hearts and minds of our young people so they can make their unique difference in the world.